When Andrea Mitchell asked President Ronald Reagan a question about the Iran-Contra Affair during a primetime news conference, he misspoke so severely that the White House issued a correction within minutes. In an era before email and Twitter, Mitchell quickly ran the correction to the anchor, putting the White House’s clarification on the air before the broadcast concluded. Then the phone at the press booth rang. “It was [White House Chief of Staff] Don Regan and he said, ‘I’m going to get you fired,’” Mitchell told Chuck Todd on an episode of the “1947: The Meet the Press Podcast.” Mitchell remembers that interaction as one of the times in her career she has been scared for her safety and career as a journalist. 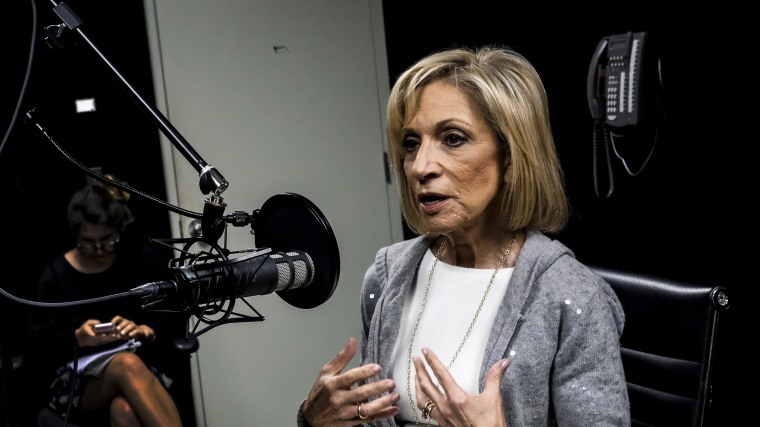 In Mitchell’s 40 years at NBC, she has made headlines with groundbreaking coverage of everything from the Jonestown Massacre to the Three Mile Island disaster to Fidel Castro’s regime. NBC’s Chief Foreign Affairs Correspondent has covered 7 presidents during her tenure and witnessed and adapted to massive changes in the journalism industry. Mitchell didn’t know journalism would be her calling at first, she said. Entering college, she thought she would be a professional violinist and grew up spending eight hours daily practicing at music school. But she loved writing, history, and politics too much, and at the University of Pennsylvania, she quickly became involved with the Ivy League Radio Network. It was the start of a career of trailblazing. In a twist of fate after college, Mitchell didn’t get a graduate studies fellowship she had applied for and so began work at the local all-news radio station, becoming the first female copy boy they had ever hired. She then worked her way up to being on-air with her trademark ability to hustle. “I was willing to go out in the middle of the night when America was exploding in 1968 and go and interview people and come back with the tape and try to put it together,” she said. She eventually landed a position on-air at a local NBC affiliate, and then at the network, where she has now spent four decades. In her time at NBC, Mitchell has developed a reputation as someone tirelessly dedicated to journalism, so much so that she rarely sleeps and fuels her days with Peanut M&Ms. Curiosity has always been what drives her passion for journalism, according to Mitchell.